We’ve literally gone nuts… about Cornish Sea Salt. Today we’re thrilled to launch 2 new products to our range of snacks and for the first time this means we’re not just a meat snacks business! We love nuts, they’re the dependable snack, a reassuring and satisfying savoury friend. We’ve toyed with the idea of adding nuts to the range for a while but the question has always been, how can we do them better, more seriously? Given much of the success of snacking on nuts is thanks to their dusting of salt, we thought why settle for just any salt? 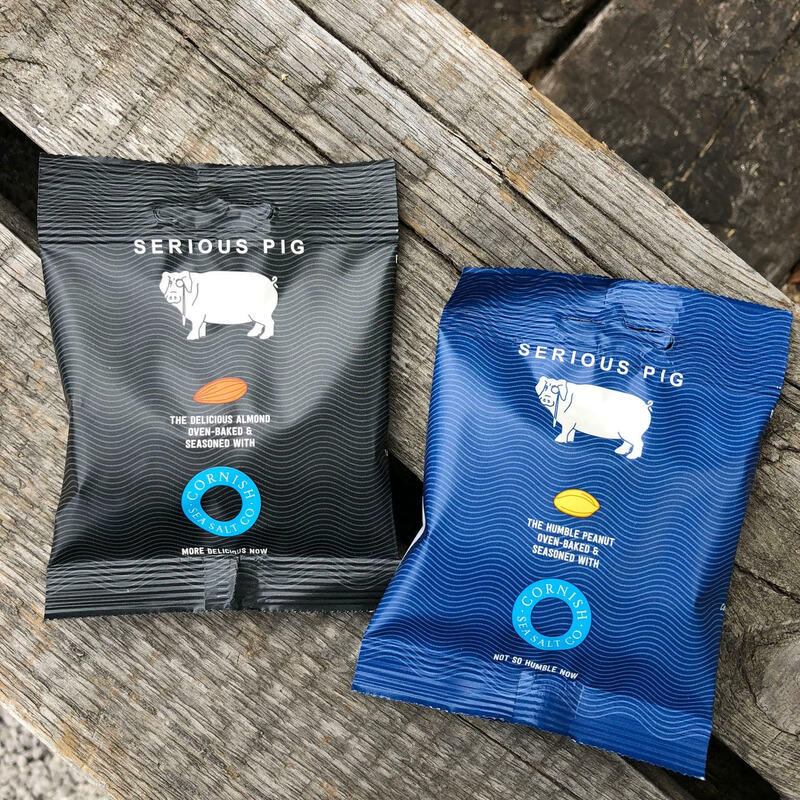 That question took us on a journey to find the best salt we could possibly find and eventually led us to Cornish Sea Salt Co. and their incredibly pure, complex and intense sea salt. For our nuts we also wanted to avoid cooking them in oil since this really effects the flavour in a negative way and leaves your hands greasy too. A much tastier nut is achieved by oven baking rather than frying and it also packs a crunchier crunch. So all-up we decided to keep things pure and simple and make the very most of our raw ingredients and showcase the salt. Here’s Philip Tanswell of Cornish Sea Salt Co. with his take on the project. Thanks Philip and big thanks to his team too for teaching us so much about the unique qualities of sea salt from the coast of Cornwall and how it’s harvested at their HQ in Gweek. Both our oven baked salted peanuts and almonds are now live on our online shop and will be appearing in all great pubs, bars, deli’s, farm shops and grocery stores up and down the county over the coming weeks and months. In fact, if you’re in Manchester you’ll be able find our nuts in Cloudwater’s taproom and if you’re in Cornwall we’re proud to be already listed at Mark Hix’s Townhouse. Visit the Cornish Sea Salt Co website for extra reading and if you’d like to see how their salt is produced there’s a great video below.